Bacteria may still be present in your mouth even if you practice proper oral hygiene. The bacteria in your mouth combines with proteins, food byproducts, saliva, and fluids that form on your teeth and create plaque. Plaque (the sticky and colorless film deposit of bacteria) is usually formed at the back teeth, along the gum line, and around the fillings. 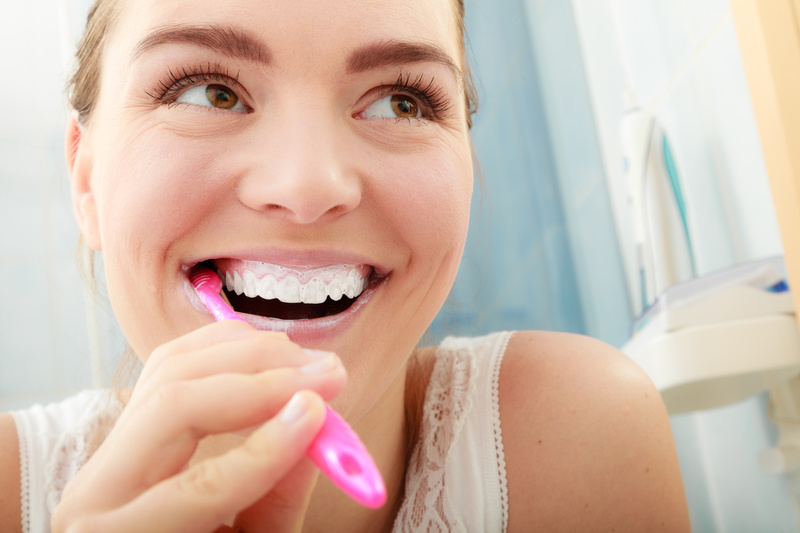 Plaque buildup can ensnare stains on your teeth, which is the main cause of gum disease. Fighting plaque is a part of good dental care for a lifetime. Plaque begins to form on teeth 4 – 12 hours after brushing, which makes brushing twice a day and daily flossing important. When Plaque is left on a tooth long enough, it turns into tartar. Tartar is a crispy deposit that can trap stains on your teeth, causing tooth discoloration. Also known as calculus, tartar produces a strong fastening and can only be removed by a dentist. The formation of tartar makes it harder to get rid of new plaque and bacteria. Tartar buildup makes it difficult to brush and floss teeth that can lead to cavities and tooth decay. As it accumulates, your gums are affected that can give way to periodontal disease or other diseases like heart disease. Preventing the formation of tartar is the best way to stop the severe effects of tartar on your overall health. A person’s susceptibility to plaque and tartar is highly different. For several people, these deposits accumulate faster as they grow older. Brush and floss teeth regularly. Brush teeth at least 2x a day using a small-bristled toothbrush, allowing you to brush the rear molars and the back surface of your teeth. You also need to floss regularly in order to remove hard to reach plaque that can lead to tartar formation. Use a tartar-control toothpaste that contains fluoride. Fluoride is essential because it prevents the depletion of enamel. Using a toothpaste with fluoride can stop the hardening of plaque that can lead to tartar buildup. The Hilliard dental clinic advise patients to use products that contain triclosan to fight the bacteria in plaque. Eat healthy foods. Sugary and starchy foods usually cause bacteria in your mouth that permit the formation of plaque. Remember to eat healthy and to reduce your intake of sugary foods and snacks. Always drink plenty of water and brush your teeth after every meal. And as always, have your teeth professionally cleaned twice a year to prevent plaque and tartar from spreading. Call Voyles Family Dental today to schedule your next appointment.